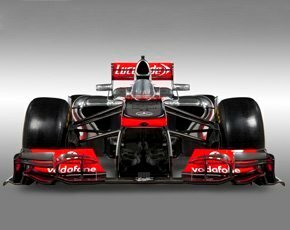 On the eve of the Formula 1 season opening this weekend in Melbourne, Australia, the Vodafone McLaren Mercedes Formula 1 team has chosen Intralinks software for secure collaboration. Stuart Birrell, CIO, McLaren Group said, in a statement: “Across the McLaren Group, including Race Team, Automobile, Electronic Systems and Applied Technology, we are constantly striving for innovation – innovation based on intense collaboration around intellectual property we need to protect." The racing team will deploy Intralinks software as a service (SaaS), stating it will make it faster and safer to share critical information, from design and manufacturing through to the race track itself. Vodafone McLaren Mercedes will deploy Intralinks VIA for secure enterprise collaboration and Intralinks Dealspace for what it called “strategic transactions”. Birrell added: “[We] needed a collaboration platform that we could trust with our highly-sensitive information but would also keep pace with our business”. He described Intralinks as “the obvious choice”, citing its “Unsharing” feature, which enables the revocation of access to shared files, as “unrivalled”. The supplier said: "Intralinks VIA makes it easy for anyone to sync, share and unshare files, work efficiently on group projects and manage content wherever it goes, even after it has been sent beyond the firewall." Birrell added: “We’ll be able to share information with our suppliers, partners and race side staff with greater confidence and speed, making us more productive and better positioned to win."